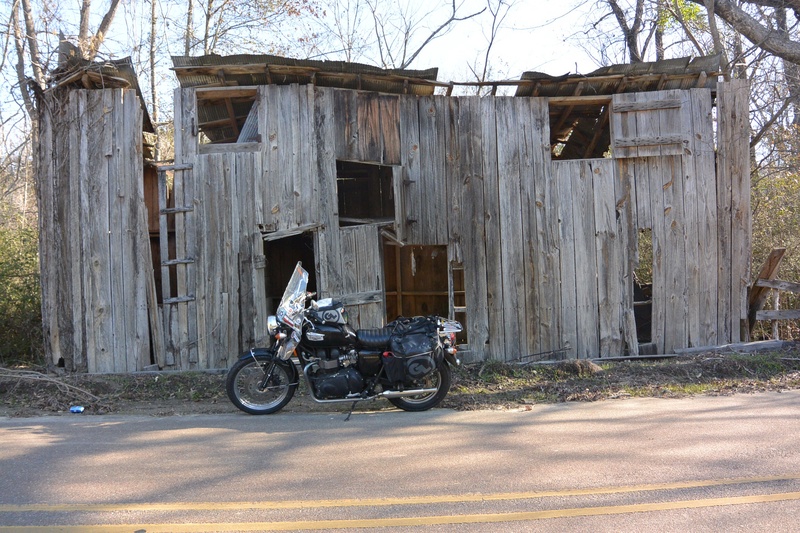 I am riding a 2006 Triumph Bonneville to all 50 states and up through Canada. I bought this bike used with 20,000 miles on it and the stock exhaust has been upgraded. I have added to it a rear-rack for luggage, and an extra padded gel seat from British-Customs. I am re-purposing the windshield my father got me for my 1982 Virago as a gift before we hit the road for our 4-corners ride that I did one summer with my father and mother. I have also sketched out a map along the bottom side of the shield to track my adventure. It will be fun to put on my stickers of my travels and then it will become my wall hanging art after the adventure!